The most destructive termite in the United States is the subterranean termite. This is because subterranean termites are extraordinarily sneaky and elusive when they invade our homes. They establish their nests under the ground, tunnel underground to our homes, and feed inside of wood of our homes, allowing them to damage homes and businesses for years without being detected. And when they do, it can lead to thousands of dollars in difficult structural repairs. For some property owners, subterranean termite infestations have resulted in irreparable damage. So it is important for every New England property owner to take steps to prevent termite infestations. And the first step is to make our property less interesting to subterranean termites. That is the step we'll be talking about today. There are a few things subterranean termites are drawn to. Let's explore these first. Moist soil. Subterranean termite workers’ skin is thin and requires a lot of moisture. Therefore, they are drawn to soil that is moist. The side benefit for these termites is that these termites prefer to feed on wood that is soft and rotting, and this wood is much more abundant in damp areas. Moist wood. As with moist soil, damp wood provides subterranean workers the moisture they need to survive, provides them with their preferred food source, and is easier to tunnel through. Decaying wood. While subterranean termites can feed on any wood they find, they prefer to feed on decaying wood. In nature, their job is to break down tough plant fibers called cellulose and turn dying plants and declining trees into fertilizer for the soil. Termites rarely attack living, healthy trees. Now that we know what termites are drawn to, let's look at all of the many ways we can keep those termites off our property and out of our home. If subterranean termites find their way into your yard, it is important that they don't find an easy food source. You can do this by controlling the moisture levels in your yard and around your home. Examine your gutter system. There are many ways our gutters can get clogged up. If not cleaned regularly, it is even possible for soil to develop and plants to grow. We don't imagine yours have gotten to that point. But, long before soil and plants start to develop, leaves can do a nice job of jamming up the works. Birds can also build their nests in our gutters and cause an obstruction. To deter termites from your home, correct these issues and make sure that rainwater is able to flow down and away from your foundation walls. Address compacted soil. When soil is compacted, it can allow rainwater to puddle and create excess moisture on your property. If you notice standing water on your property after it rains, you may need to loosen that compacted soil. Address areas of excessive shade. If there is a location near your home that gets too much shade, moisture problems can develop there. Consider trimming tree branches to allow the sunlight to reach these areas and dry them out. Fix leaks. Inspect exterior water spigots and any hoses that are attached. If you find leaks, patch things up to prevent standing water. There are many types of wood that termites will be attracted to. While they can feed on sound timbers in your home, subterranean termites typically target areas that have been compromised by moisture damage before sound wood. Here are a few more sources of wood they may attack first. Keep firewood at least 20 feet from your home and elevate it off the ground. Paint or stain any untreated wood on your property. Replace old wooden planks with new planks. Replace wooden borders around your home with stone borders. Replace mulch with crushed rock. The best way to prevent termite damage is to invest in routine pest control services and expert advice from a pest control provider. The professionals can assist you with detailed inspections to identify attractants, make recommendations on how to deter termites from invading, and assist you with treatments when necessary. 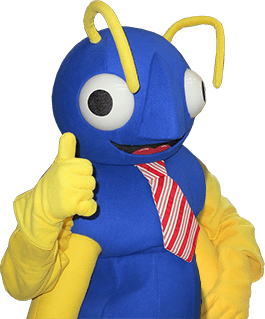 At Big Blue Bug Solutions, our highly-trained pest control professionals have a strong track record of protecting New England homes and businesses from termite damage. They also have the experience and education needed to manage all of the other bugs, rodents, and wildlife pests we deal with. Click here to schedule an appointment to find out what pest pressures you are dealing with on your property and inside your home!